Senior Will Pelton of the varsity swim team has been named our Student-Athlete of the Week for January 9–16. 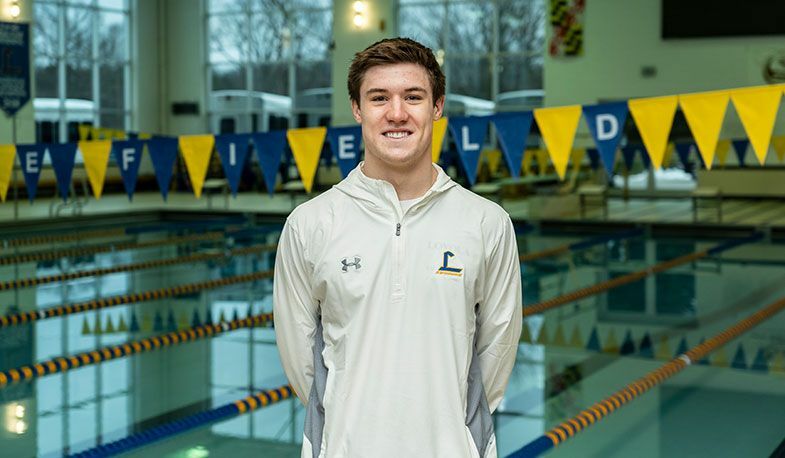 Will won the 100m Free and 100m Back and was a part of two winning relay teams during last Thursday's win against Calvert Hall. He also won the 100m Butterfly and the 100m Back and was a part of two more winning relay teams against Mount St. Joseph on Friday night. Will is a big reason the varsity swim team remains undefeated in conference meets so far this season at 5-0.